Radio broadcasting comes to Los Angeles in 1922 with stations KHJ, KFI and KNX. * Broadcasts in Antelope Valley (Northern Los Angeles County area). In 2017, Radio Disney on 1110 AM changed their format from pop music for children to country music. The children's pop format continues to be broadcast only on KRTH's 101.1 FM HD2, but only through HD radios. Disney also broadcasts thier KRDC signal through K256CX FM on 99.1 FM, but, currently, the signal only reaches the Irwindale area. KAVL AM has been continuously broadcasting Los Angeles Dodgers games since 1958. The John and Ken Show on KFI AM 640 is the most listened-to local radio talk show in the nation. In the peak hour of their daily broadcasts, they draw an audience of about one million listeners. John Kobylt and Ken Chiampou began broadcasting in Los Angeles in 1992, coming from New Jersey and New York. First licensed on March 10, 1922, as KJS, the 1330 kHz frequency (AM) is one of the oldest radio stations in the nation. It is also the one of the oldest Spanish-language radio stations in the nation. In 1971, then Los Angeles International Airport manager Clifton Moore came up with an idea for a radio station that would broadcast airport traffic information for visitors to LAX. He thought it would help relieve growing airport traffic congestion. Radio engineers William S. Halstead and Richard W. Burden were brought in to put the project together. 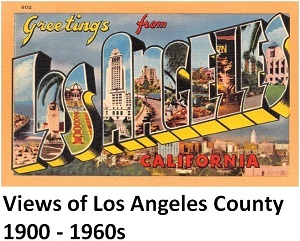 By 1972, the new station began broadcasting in the immediate LAX area on AM frequency 840. It quickly became apparent that early 1970s drivers still had to find radio stations on a “slide dial" which distracted them from driving. Halstead and Burden found that car radios could actually tune into radio frequency 530 at the very “bottom of the dial.” Such a station frequency could easily be located on the radio dial without actually having to look at the dial. The new station switched to AM 530 and came to be known as LAX Air Radio 530. The station, which eventually could be heard as far away as 30 miles from the airport, broadcast continuously until 2011. By then, the contract with the vendor that managed the station expired and the airport decided not to fund the station any longer.